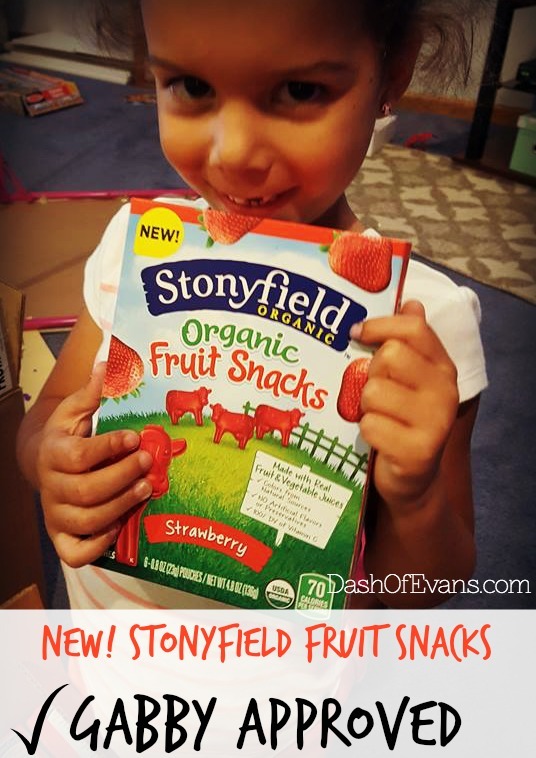 Tasty New Treat: Stonyfield Fruit Snacks! 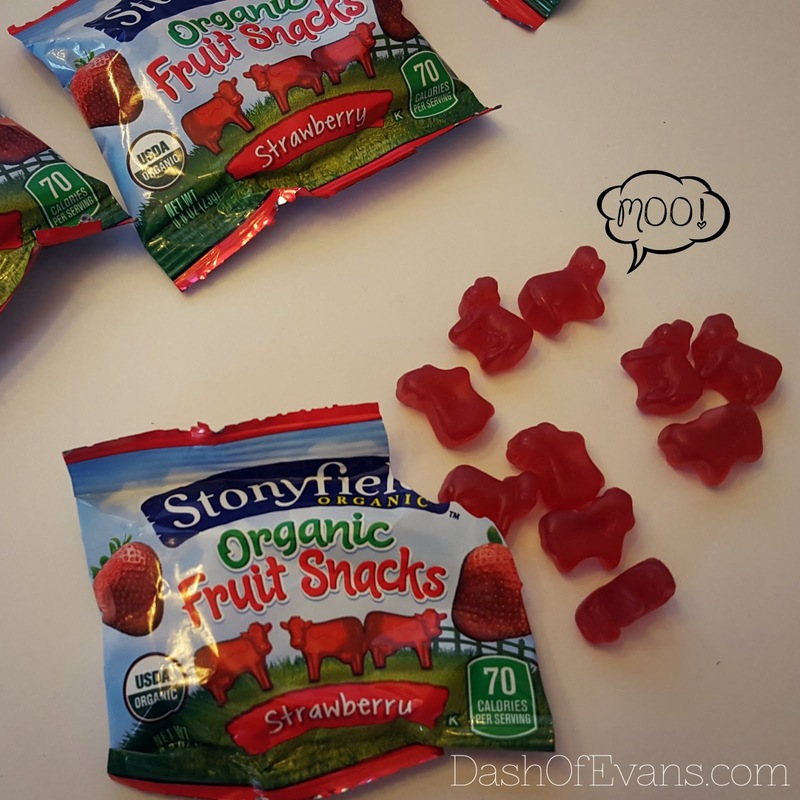 Disclosure: I am a #StonyfieldBlogger and I was given compliemtary fruit snacks for this post. All opinions are my own! You all know by now that we adore Stonyfield products. I can trust them to put out healthy, worry free snacks for my kiddos. When I heard about new fruit snacks, I was SO excited. In our house, we use the phrase “sometimes food” instead of “junk food”. 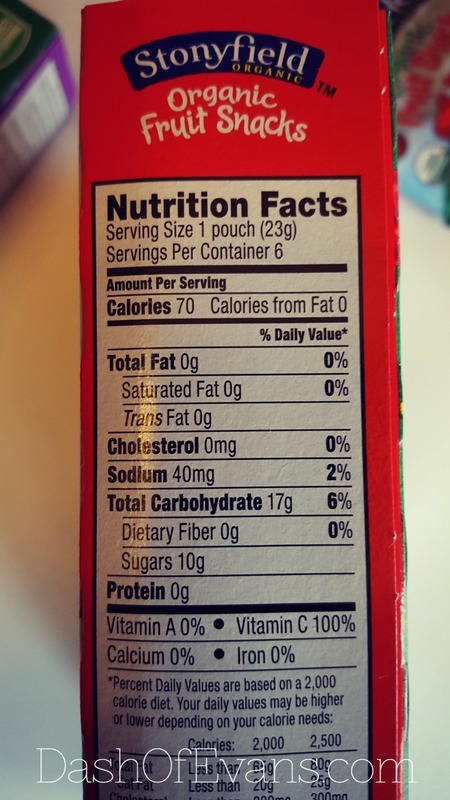 Normally, fruit snacks fall under the “sometimes food” category because of their sugar content and ingredients. I was pleased to see that these snacks were lower in sugar and had items that I actually recognized on the label. Plus, there is 100% the daily requirement of Vitamin C.
The snacks are shaped as cute little cows and there are two flavor choices: strawberry and mixed berry. I am quite partial to the strawberry and have a box…okay two…hidden in the pantry. The girls are loving them too! 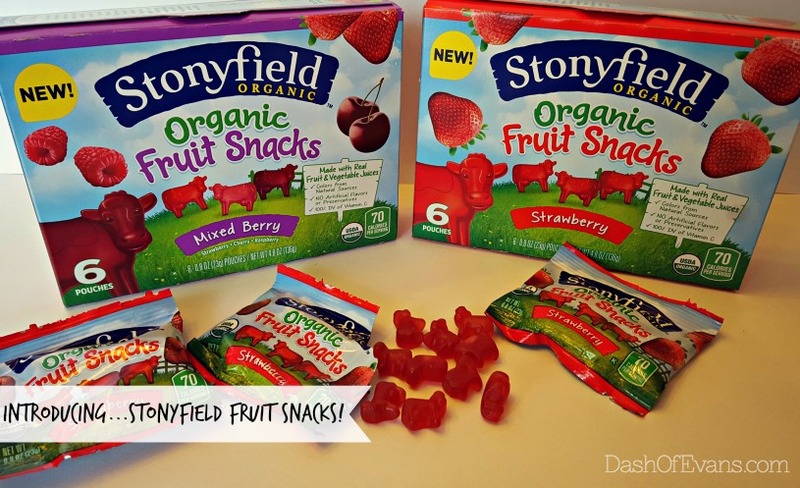 What’s your favorite Stonyfield product? Be sure to look for these snacks!